Looking for a great dip to go with breads and veggies for your next dinner party? Or maybe a healthy dip to snack on at work? Or perhaps just a simple vegan spread for your sandwiches and wraps? 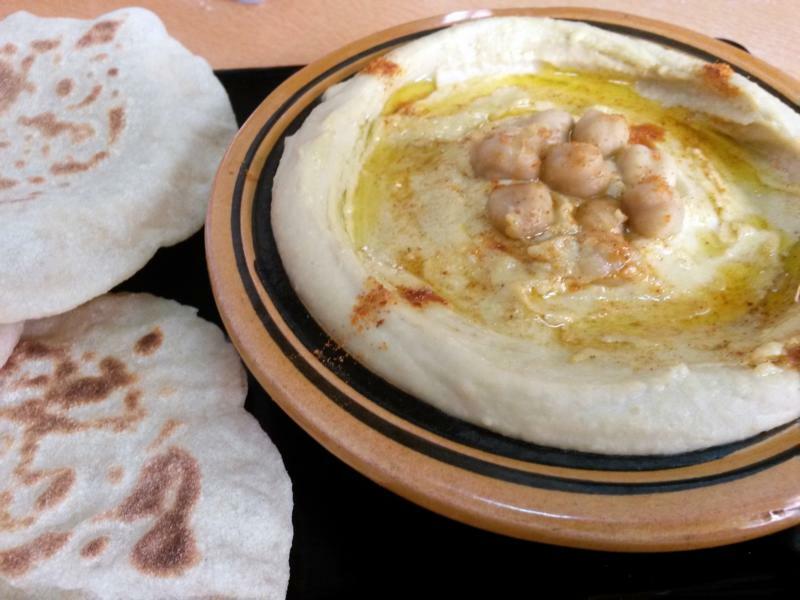 Enter the hummus! A versatile Middle Eastern dip, made from simple, handy ingredients, which goes well with just about anything. Its popularity speaks for itself and I guess it is available almost everywhere around the world. 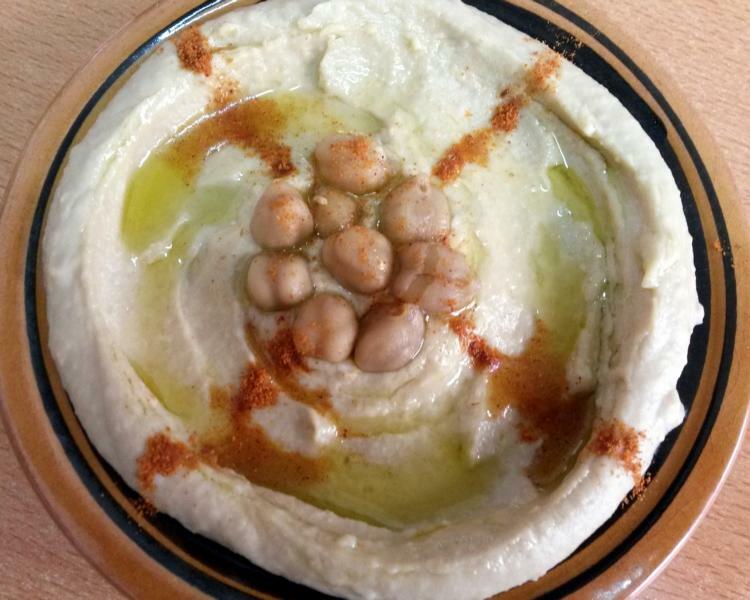 You can use canned chickpeas for Hummus. Personally I prefer to go the long way – macerate dried chickpeas overnight in water. Cook in a pressure cook the next day until very soft. Save the drained water. Keep aside. Grind the chickpeas alongwith tahini, garlic and lemon juice. Add the drained water while grinding until it forms a smooth paste. Transfer the mixture to a small bowl or plate. Make a well in the centre and pour olive oil. 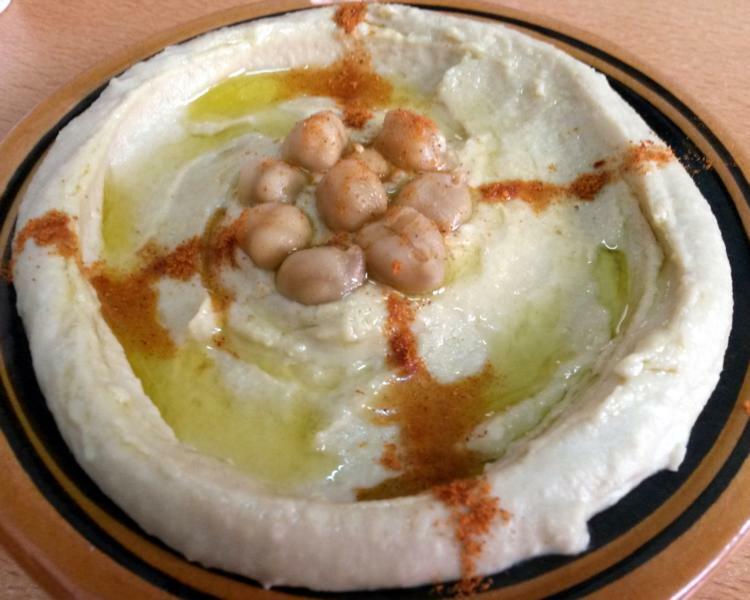 The hummus just tastes excellent with some olive oil. Garish with some red chili powder, for a professional look and serve with homemade pita bread / khubuz. 1 tin of canned chickpeas / 1 cup Dried chickpeas – soaked in water overnight and cooked in a pressure cooker the next day with salt and 2 ½-3 cups water till soft. 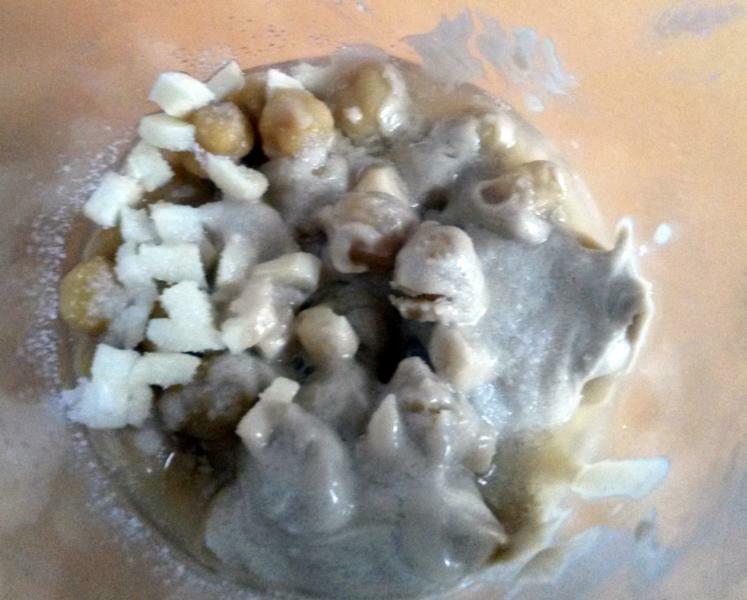 Grind the chickpeas, tahini, garlic and lime juice and around 1 cup water to a smooth paste. Check the consistency and add water as required. It should be a semi thick consistency. Transfer the mixture to a small bowl or plate and make a well in the centre and pour the olive oil and sprinkle cayenne pepper or red chili powder. I’m glad I can use caned chick peas. The dips looks very nice. Thank you for sharing! Thanks for stopping by,Liz . Canned chick peas saves time in case you need to make the dip immediately. Hope you have a great day! Hi Harini, Thanks for stopping by. I went through your website too and you have a very good variety of vegetarian recipes.Interesting name too of your website.would love to try the recipes soon.Happy Cooking!! !